While we love each and every suburb in Auckland, there are some that we hold close to our hearts. We’re talking about the ‘burbs jam-packed with local businesses doing cool things. We turn to these hotspots for mouth-watering restaurants, bustling cafes and world-class shopping. To celebrate all that is good in Auckland, we’ve teamed up with American Express to bring you a guide to Auckland’s favourite suburbs. As part of Live Local, they’re encouraging you to get amongst some of Auckland’s best eats, drinks and shopping. The best part? By supporting your local, you can get up to $50 back (which totally means more shopping for you!). To give you some dining and shopping-spiration (as if you needed an excuse), here are our fave spots in Ponsonby, Newmarket, Parnell and Takapuna that accept American Express. 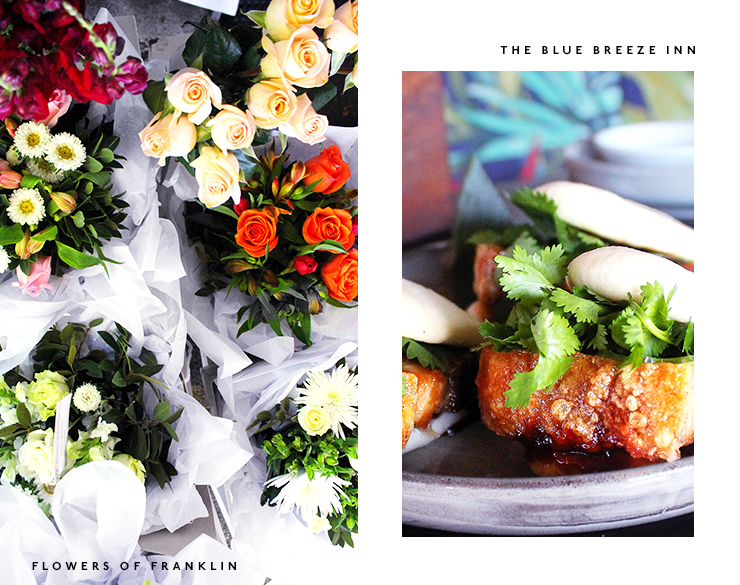 You can’t call yourself a true Aucklander until you’ve devoured a pork belly steamed bun from The Blue Breeze Inn. Life-changing bao aside, the Ponsonby restaurant is all about the Chinese eats with a unique island twist. Here you’ll find dumplings, noodles, prawns and oh-so-spicy bang bang chilli chicken. Pro tip: Stick around for dessert! Sitting pretty on Ponsonby Road, SPQR has cemented itself as an Auckland institution—it first opened in ’92! The ever-popular Italian restaurant is the perfect pozzy for a vino-fuelled long lunch. SPQR has your Italian faves perfected—especially when it comes to pasta! Risotto, linguini, fettuccine, spaghettini…they do it all! New Zealand has made its mark on the international fashion stage—and it’s thanks to the likes of Miss Crabb. Established by Kristine Crabb, the aptly named Miss Crabb is a New Zealand clothing line with a stellar flagship store on Ponsonby Road. The best part? The brand is all about supporting local production with the gorgeous pieces made in this fine country of ours! If it’s pretty blooms you’re after, Flowers Of Franklin is your one-stop shop! The delightful store sources fresh flowers to create vibrant bouquets guaranteed to delight. Brimming with roses, lillies and all things pretty, there’s something for every occasion and every budget at Flowers Of Franklin. Burger enthusiasts, unite! 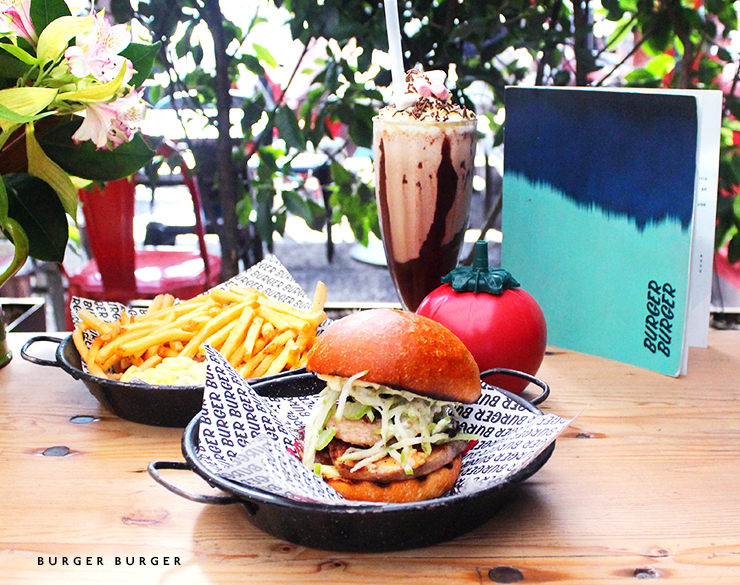 Located in Newmarket (as well as Ponsonby Central and Takapuna), Burger Burger is all about, err, burgers. The mouth-watering, finger-lickin’ menu allows you choose between beef, chicken, fish, lamb or a vege-friendly patty. The sides are equally delish—we can’t go past their signature charred broccoli. You can never own too many pairs of shoes and a visit to Kathryn Wilson will have you lusting for even more. The New Zealand footwear designer will have your footsies looking fab with everything from loafers and trainers to heels and boots. Visit the Newmarket store (or check out Britomart or Herne Bay) and watch your wish-list grow. If you’re a sucker for homemade baking (aren’t we all? ), look no further than Newmarket’s Teed Street Larder. Pair your caffeinated bevvy with a baked goodie such as cinnamon brioche, banana loaf or an Auckland-famous lemon blueberry scone. The café also serves your breakfast faves, including not-to-be-missed buttermilk pancakes. Non Solo Pizza is one of the best Italian restaurants in Auckland—let alone Parnell! Tucked away off the main drag, the restaurant serves up irresistible wood-fired pizza in its sun-drenched courtyard. In our humble opinion, no visit is complete without dessert. Choose from the likes of Italian classics such as tiramisu, panna cotta, affogato or Nutella pizza—yes, it’s a thing! One for the lads! Working Style has been suiting up Kiwi men since ’87. The original flagship store is still going strong on Parnell Road, specialising in made-to-measure suits, shirts, footwear and casual wear. The perfectly tailored garments will take you from work to weddings and everything in between. If you’re anything like us, nothing beats an expertly brewed coffee. For some of the finest brews in town, look no further than Parnell’s Espresso Workshop. At the Parnell roastery, they use the best quality beans to produce small batch, roasted coffee like no other. Pop in to stock up on beans, enjoy a meal and a cuppa, or grab a coffee for the road. Showcasing views of Takapuna Beach and the Hauraki Gulf, Takapuna Beach Café is a firm fave with locals and city folk alike. The café prides itself on using locally sourced, seasonal ingredients to create delish meals to take you from breakfast to a late lunch. If the sun’s shining, grab a scoop (or two) of gelato and enjoy a leisurely stroll along the beach. Bird On A Wire know a thing or two about chicken. At the Takapuna eatery you’ll find baguettes, burgers, wraps and salads all revolving around chicken (rest assured, there are also vege options). It’s the perfect spot to grab a healthy—and delish—lunch! Our fave? The Vietnam-inspired banh mi with lemongrass and turmeric grilled chicken. If we could only shop at one store for the rest of our lives, Superette would be it. The stylish store stocks more than 80 Kiwi and international brands including Deadly Ponies, sass & bide, Stolen Girlfriends Club, Nudie and Bassike. The store is brimming with an expertly curated collection of stylish garments, homeware and gifts. We want it all! Editor's note: This article is proudly sponsored by American Express and endorsed by The Urban List. Thank you for supporting the sponsors who make The Urban List possible. Click here for more information on our editorial policy.